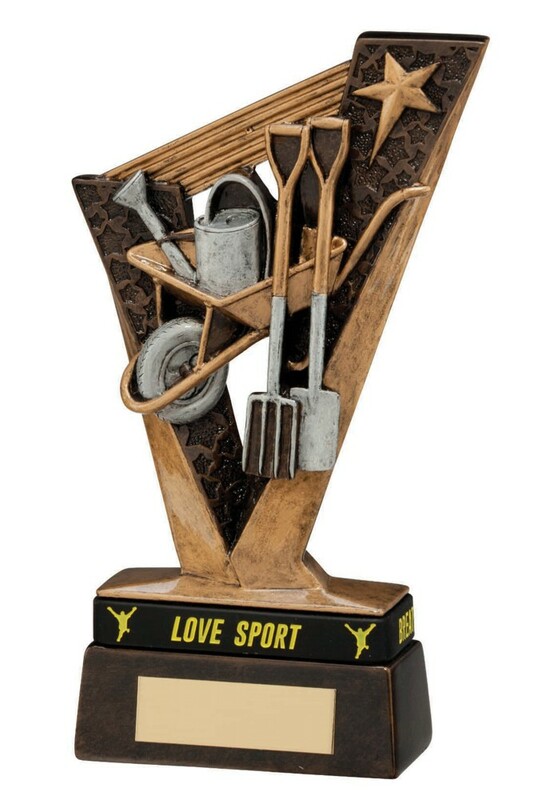 This great value gardening trophy measures 180mm high. Antique gold resin award with gold and silver detail. The trophy depicts and wheelbarrow, watering can, spade and fork.